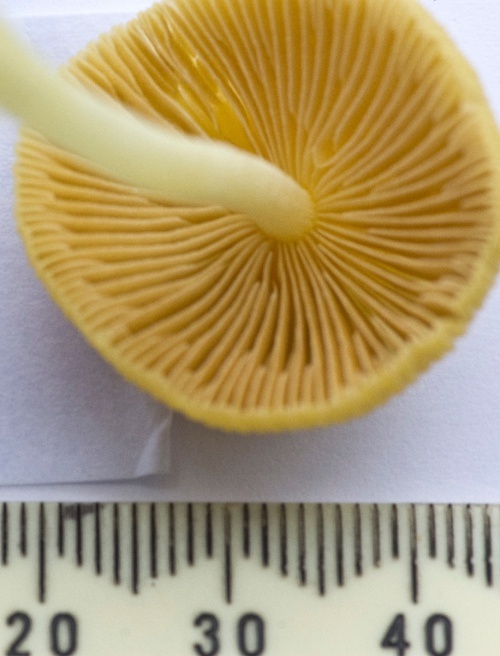 Cap 4 to 6 cm sticky and deeply striate. Bright yellow in colour but fading with age. 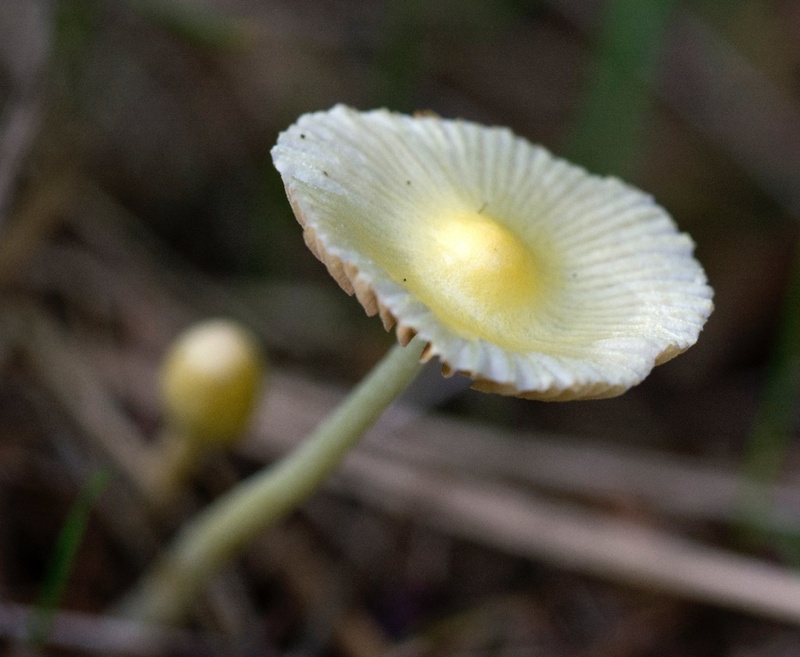 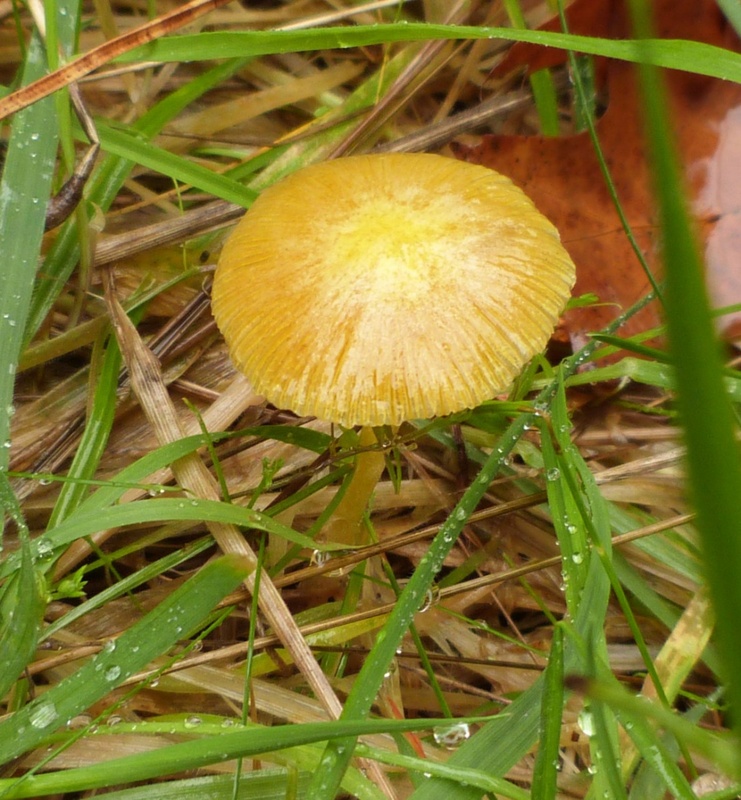 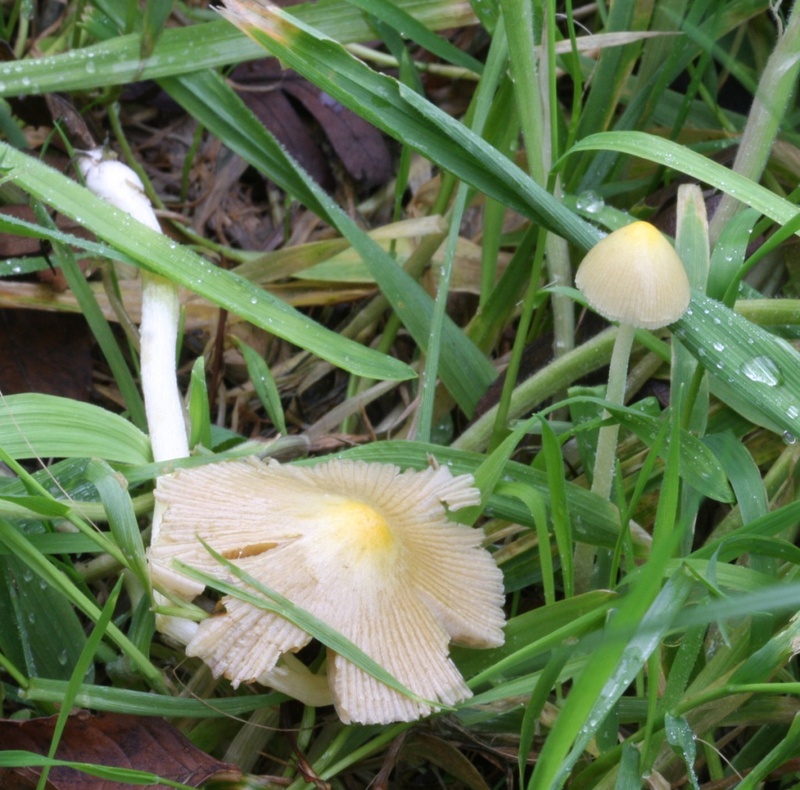 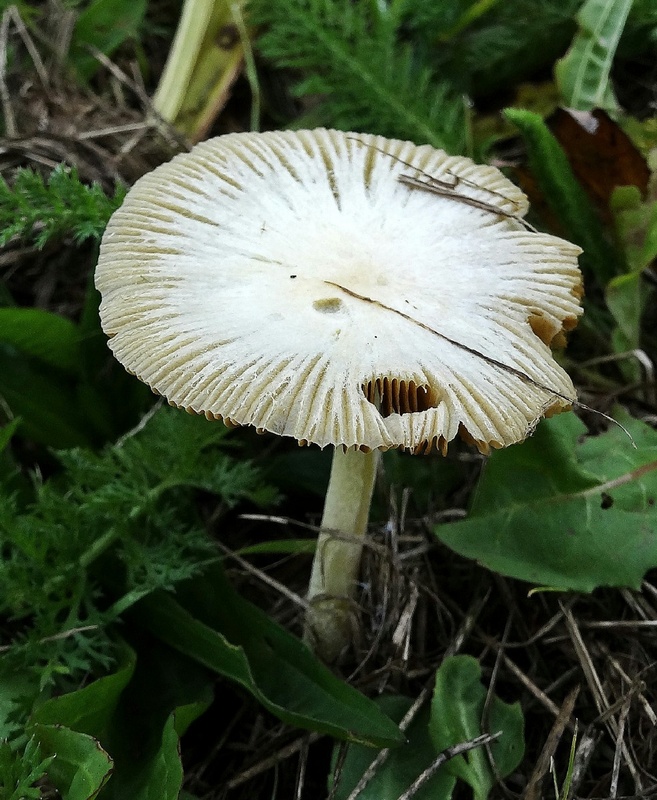 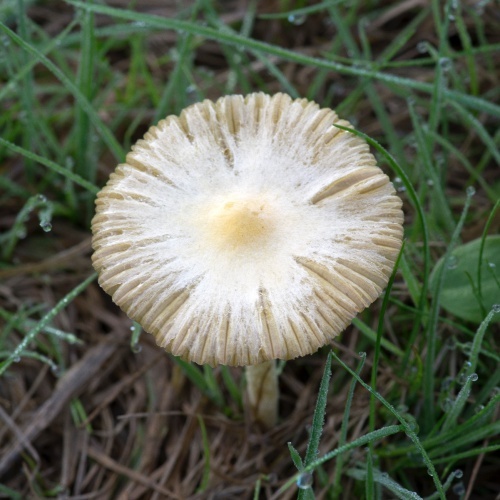 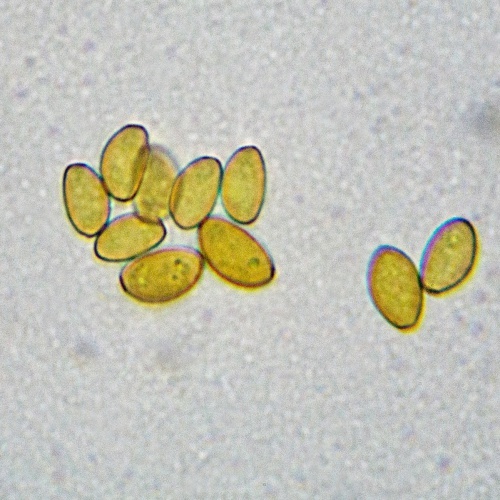 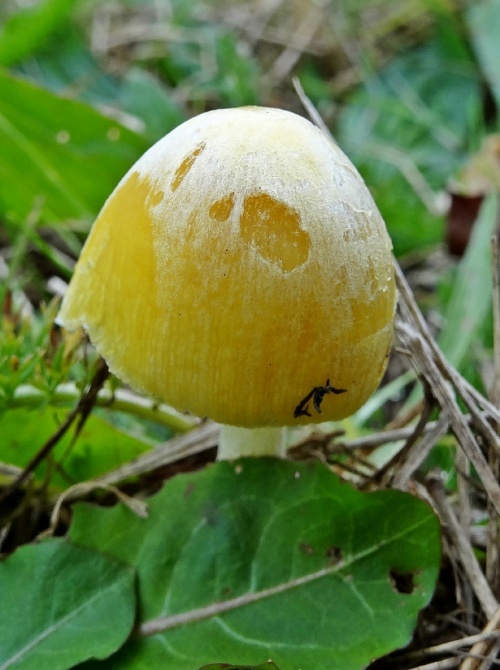 Gills yellow when fresh but becoming rusty brown as the spores ripen. Spore print brown, spores ellipsoidal, smooth. 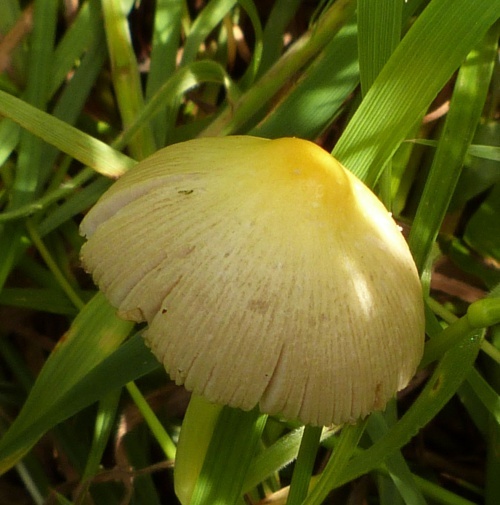 In grassy places, especially where manured, and on compost etc. 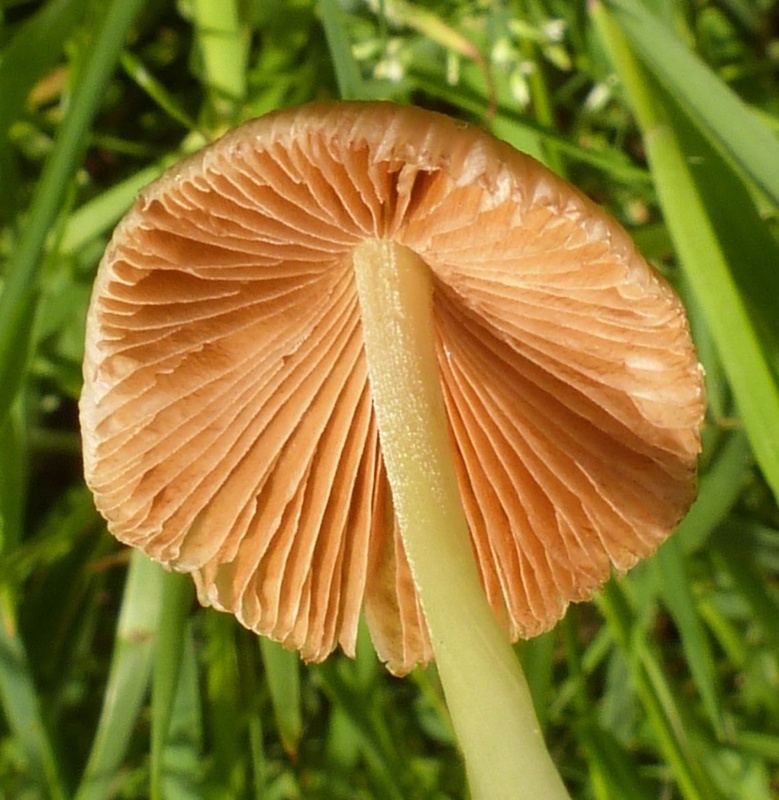 Fairly common in much of Britain.